Aspiring and new restaurateurs can get business ideas from this event. 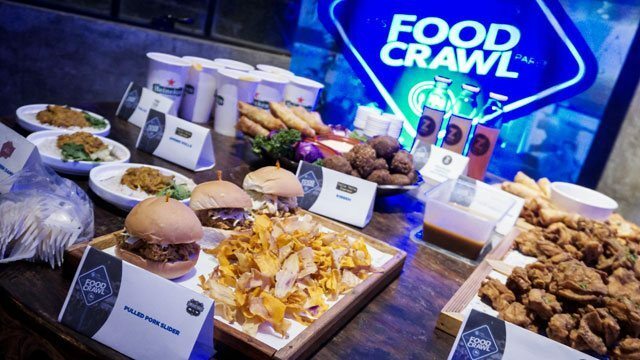 Foodies experienced an evening of fun and festivities as Globe myBusiness, in partnership with Let’s Eat Pare and Poblacion Land and Urban Development, held its first ever food crawl in Poblacion. Signature dishes and drinks of participating restaurants and bars. 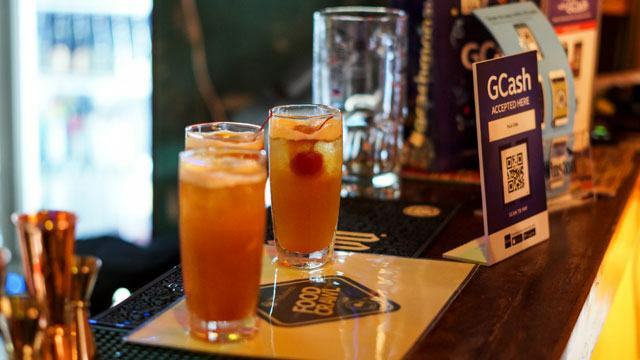 The event, called Let’s Food Crawl Pare, brought together business owners, bloggers, members of the press, and Globe representatives to participate in a restaurant-and-bar hopping journey to see what Poblacion has to offer. As a melting pot of cuisines in Makati, Poblacion currently boasts of a vibrant restaurant and bar scene. Favorites like Alamat, Ñ, ABKD, Smokeyard, Yalla Yalla, Bucky’s, Wild Poppy, Pura Vida, Z Hostel, and The Apartment served some of their most popular dishes and drinks. The Ruins hosted the event, where food vendors showcased their signature dishes as participants engaged in a series of activities. Guessing game: Find out the two main ingredients of Wild Poppy’s Chicken Ren Damn. 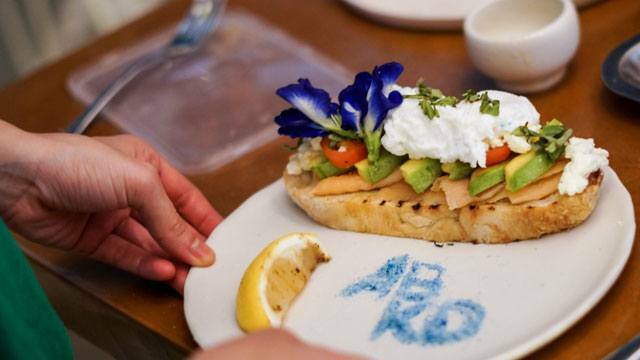 Style your own salmon avocado toast. Pura Vida’s Tea-infused whiskey. The challenge? Sip the cocktail while dancing. Make your own Yalla Yalla Lebanese wrap and it eat, too. Let’s Food Crawl Pare was more than an elaborate showcase of Poblacion’s establishments. Part of its aim was to help small and medium enterprises (SMEs) become more efficient in their operations with the use of solutions provided by Globe myBusiness. “We are always in support of SMEs, and we hope to contribute to the growing, thriving food and tourism sector. Our goal is to empower SMEs toward success and this event is one of the ways for us to play such a part,” said Debbie Obias, Globe myBusiness Vice President for Segment Marketing. Among the Globe myBusiness solutions utilized during the food crawl was GCash, a secure mobile money service that lets Globe or TM users buy load, purchase items, send and receive money, pay bills, and more using their handsets. It turns mobile devices into virtual wallets, eliminating the need to bring cash. 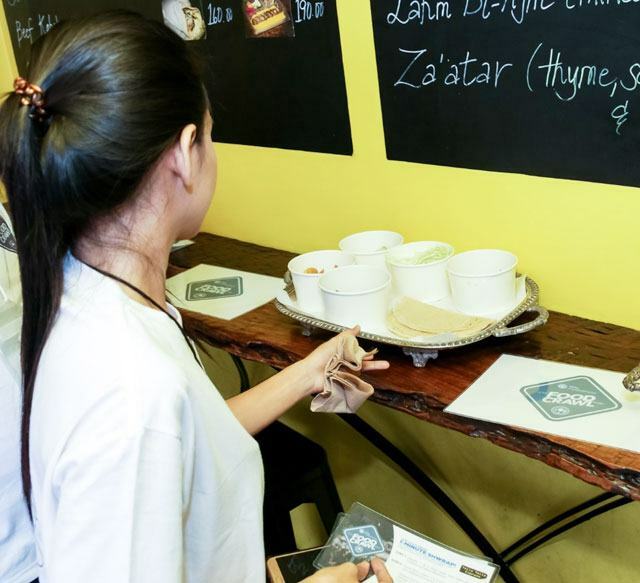 Participating establishments in the food crawl accepted payment via GCash, which provided a secure and fast way to settle their patrons’ bills, and allowed customers to go cashless as they partied around Poblacion. Globe provided free Wifi during the event. Foodies posted about their experiences on social media and uploaded selfies and photos of their favorite dishes in real time. Their followers, meanwhile, kept track of what was happening via live videos and social media posts. An on-the-spot video by the winning team was played towards the closing of the event. The team won P9,000 pesos worth of GCash credits along with other prizes from Globe myBusiness. 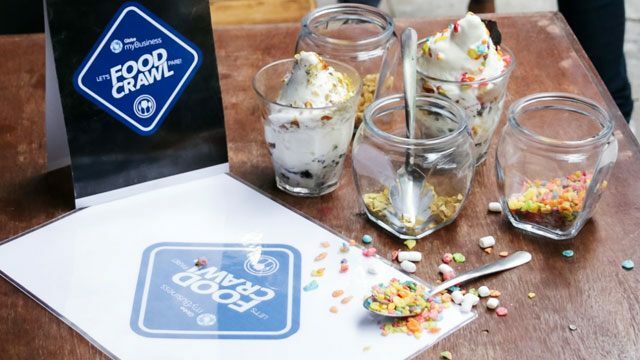 Former Pinoy Big Brother contestant Joj Agpangan, who was part of the winning team, said the Let’s Food Crawl Pare was an experience she would never forget. “Poblacion really is the place to be with friends. I’ll be here more often. Every place has something unique to provide. Each of them offers a different flavor; it's almost as if we were able to go everywhere around Makati just by sampling the food. 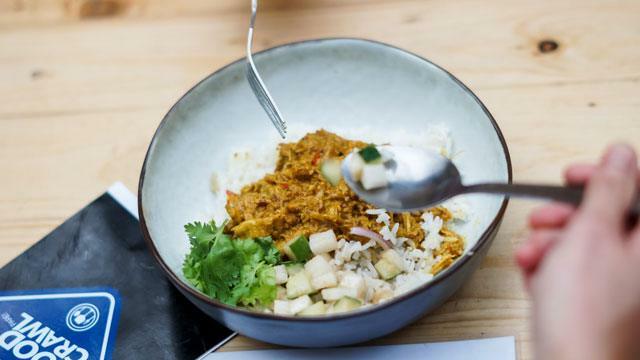 The places we went to have very delicious dishes and I’d recommend them to others,” Joj shared. Learn more about what Poblacion has to offer and check out the videos created by the participating teams by joining Let’s Eat Pare’s Facebook group. Support the food tourism industry by bringing your family and friends to Poblacion to experience one of Makati’s premier food districts. Sign up for the Globe myBusiness Academy to learn about the latest events, seminars, and conferences organized by Globe myBusiness and its partners. Visit https://mybusiness.globe.com.ph/ for more info.